Address: Maciot, s/n, Playa Blanca (Lanzarote), Islas Canarias. 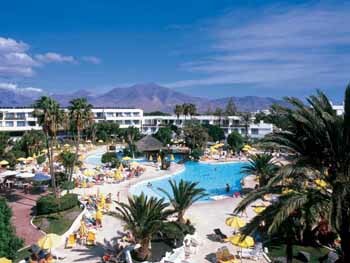 The H10 Lanzarote Princess is located just 200 metres from Playa Blanca Beach, offering views of the Atlantic Ocean. Set in gardens, it features 2 outdoor swimming pools and rooms with balconies. H10 Lanzarote Princess offers bright, stylish décor and its rooms are air conditioned. All rooms come with satellite TV and a desk. Buffet cuisine and show cooking are on offer in the hotel’s main restaurant. La Choza Restaurant is located in the hotel gardens and also has a bar. There are 2 further bars in the resort. Staff at the Princess’ 24-hour reception can provide information on Playa Blanca and the surrounding area. Free WiFi is available in the lobby of the hotel and some rooms. The Lanzarote Princess has tennis and volleyball courts, minigolf and a giant chess board. Guests are required to show a photo identification and credit card upon check-in. Please note that all Special Requests are subject to availability and additional charges may apply. Please note half board includes a buffet breakfast and dinner. Drinks are not included. When booking more than 4 rooms, different policies and additional supplements may apply. For non-refundable rates, the hotel reserves the right to request, at check-in, both the credit card used to pay in advance and the cardholder’s ID. Privilege Service is available for an extra charge. Please note children over 12 years old are considered adults. Please note that maximum occupancy cannot be exceeded. Please note that when booking a rate where payment is due before arrival, the property will provide detailed payment instructions, for example a link to a secured payment platform.